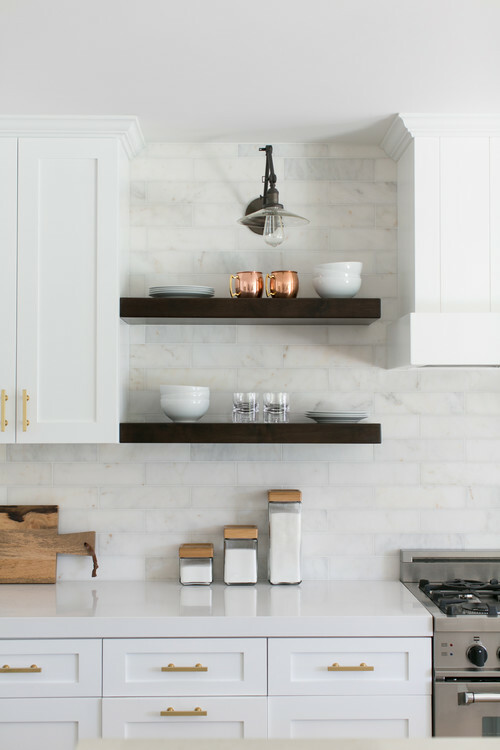 No offence to those who feel a farmhouse should be shabby chic or rustic, a new trend has evolved, a mix of tradition meets contemporary, I call it "modern farmhouse", and it's here to stay. 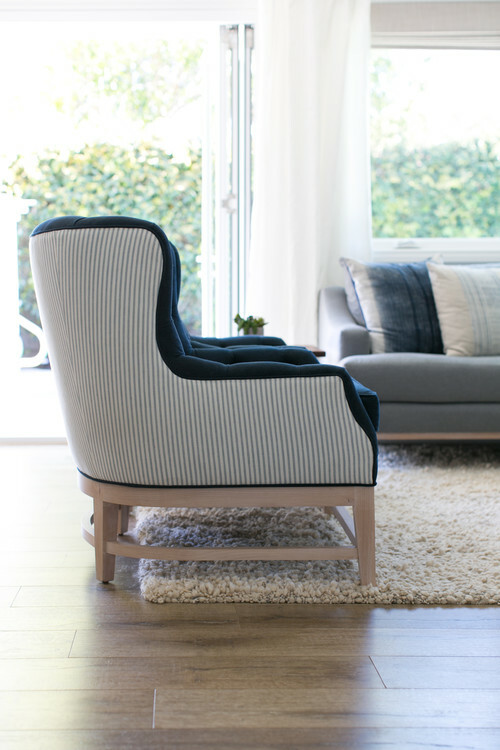 This easy to live with style is not so much a trend but a lifestyle which can easily be adapted to the suburbs. The bedroom image above is the perfect example of modern farmhouse style. 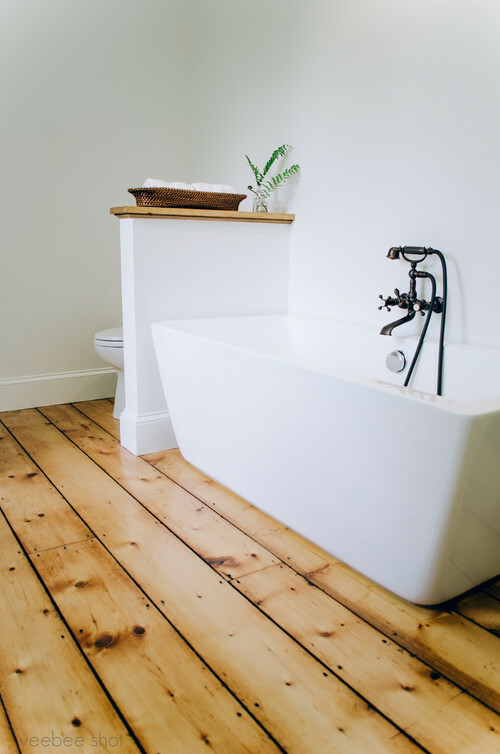 Shiplap walls and wooden floorboards can be found in many old Farmhouses, however this new build retains tradition and mixes it with more contemporary pieces with its interior design. 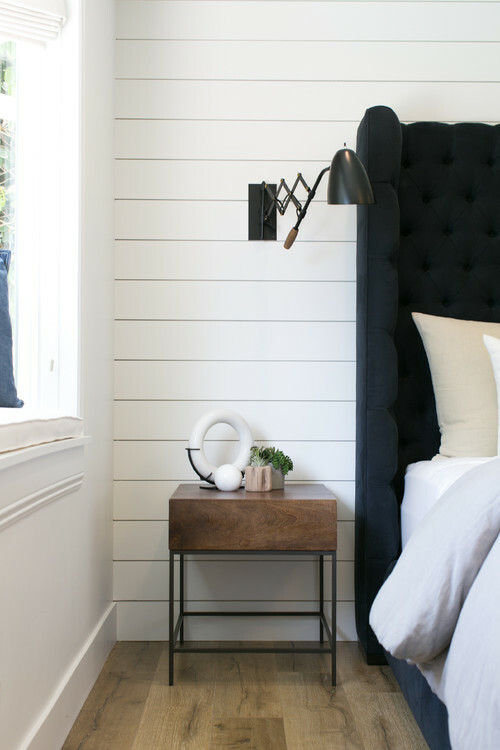 A luxurious wrap-around velvet headboard is an up-to-date look, paired with clean lined iron and wood side tables the space definitely leans towards modern farmhouse. The addition of the concertina wall lights reflect back to 'traditional'. 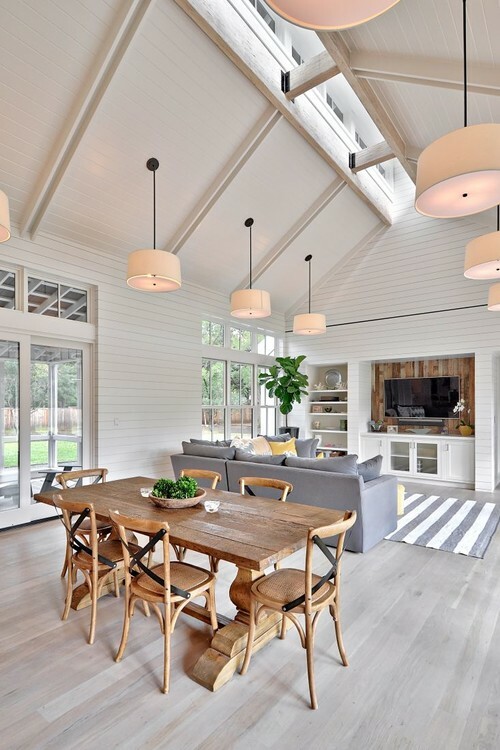 Modern farmhouse is a mix of old and new, whether this be an authentic farmhouse with more contemporary furnishing or a new build farmhouse with a mix of antique, vintage and contemporary pieces. It is about selecting the right furniture or architectural design for the overall look of a space, regardless of kitchen, living or bedroom. 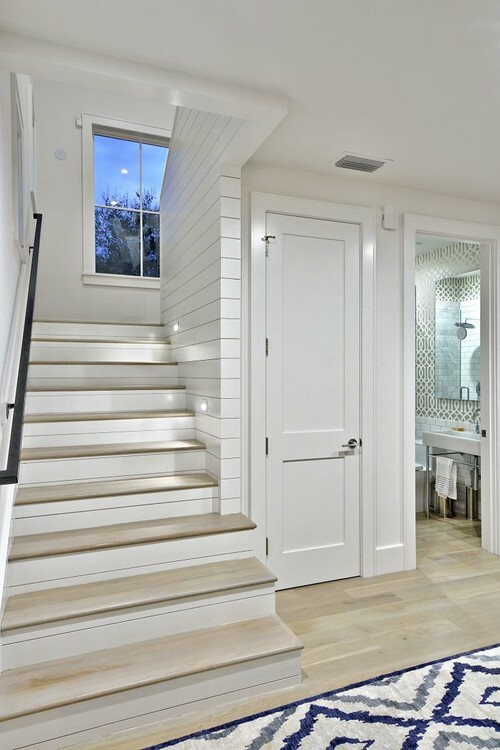 I have been browsing Houzz and found some great images of spaces befitting "Modern Farmhouse" I hope you enjoy them. 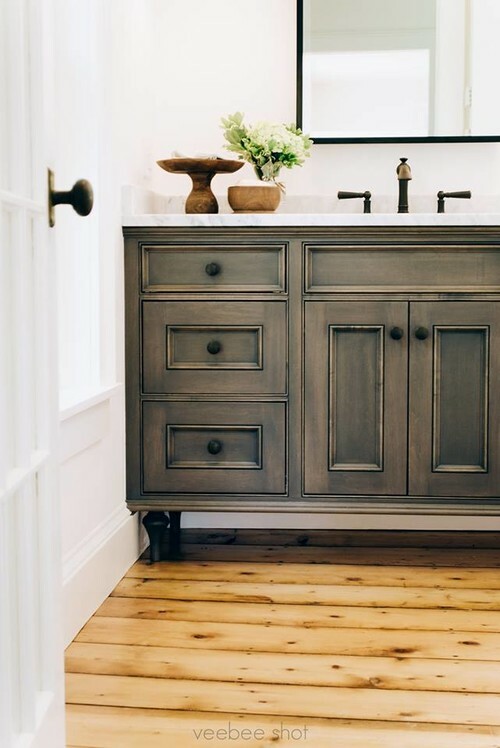 I hope you have enjoyed these images, personally I love modern farmhouse style, it combines a lot of what I love in a home, a relaxed mix of furniture that is classic, yet modern at the same time and you definitely don't have to live in a farmhouse to achieve this clean look. This weekend we celebrate Waitangi day in New Zealand, Yay, an extra day off. We will be utilising the time to paint the rear deck as part of our back yard makeover. It is interesting as currently I am staring at 'stark white' primer on the deck and it doesn't seem to agree with me. For some reason I have actually felt very tired this week, it is probably due to the smell of the paint but also I realise that the stark white primer is so reflective that it actually tires me out. Most people would think that white is simply white but there are a myriad of shades of white and some simply don't work, stark white being one of them. I am so glad that I chose an off white for my studio as in hindsight it would have been a hard space to work in. I will be glad to have some normality back to the rear of the house and to be able to put the furniture back. I will share photos when it is finished and meanwhile I shall write a post on using the right whites. 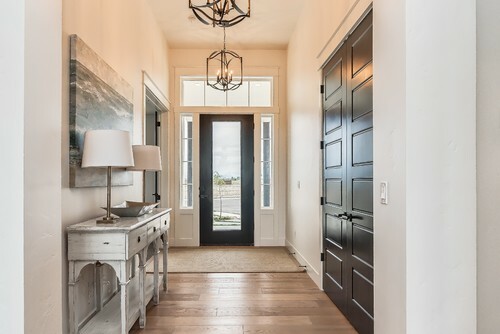 If you love the look of modern farmhouse style, you may enjoy this beautiful home by Blackband Design. Or catch up on the latest images added to my idea book on Houzz, 'Farmhouse - Modern'.